Buhari’s second term will be dangerous for youths, others, says Lamido – Royal Times of Nigeria. 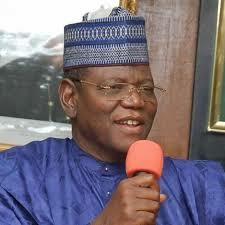 A Presidential aspirant under the Peoples Democratic Party (PDP), Sule Lamido, yesterday cautioned that re-electing President Muhammadu Buhari for a second term could spell doom for youths and the country’s future generations. He stated this while addressing PDP supporters on his readiness to contest the 2019 presidential elections in Maiduguri, Borno State. His words: “The Nigerian youths are the most at risk, because they have no future and good morals of becoming leaders of tomorrow. If I am elected President next year, the Nigerian economy will be revamped to surpass Buhari’s Economic Recovery Growth Plan (ERGP). He noted that if Nigerians were not careful in electing a credible person; irrespective of ethnic, religion and political affiliations and ready to effect change, the masses would continue to suffer unemployment, poverty, insecurity and underdevelopment. He alleged that Buhari’s administration has brought poverty and unemployment among 90 million youths, adding that the All Progressives Congress (APC) is a party of hate and frustration. Meanwhile, a few hours to the declaration of his presidential bid, former Kano State Governor, Rabiu Musa Kwankwaso, was prevented from using the Eagles Square facility in Abuja, which was previously approved for him. Kwankwaso recently defected from the All Progressives Congress (APC) to the Peoples Democratic Party (PDP).